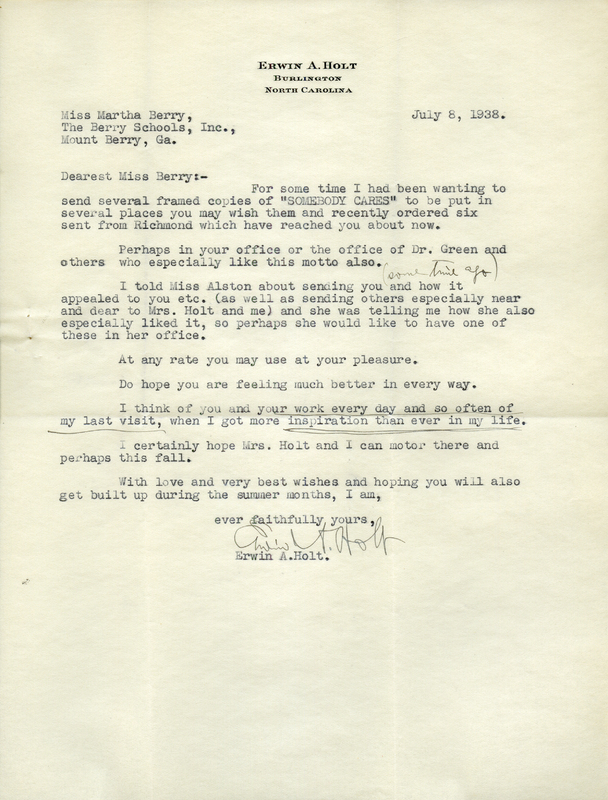 A letter asking if Martha Berry had received the framed copies of "Somebody Cares" he'd had sent to her. Erwin A. Holt, “A Letter to Martha Berry From Erwin A. Holt.” Martha Berry Digital Archive. Eds. Schlitz, Stephanie A., Jessica Hornbuckle, Savannah Harris, et al. Mount Berry: Berry College, 2016. accessed April 25, 2019, https://mbda.berry.edu/items/show/14602.